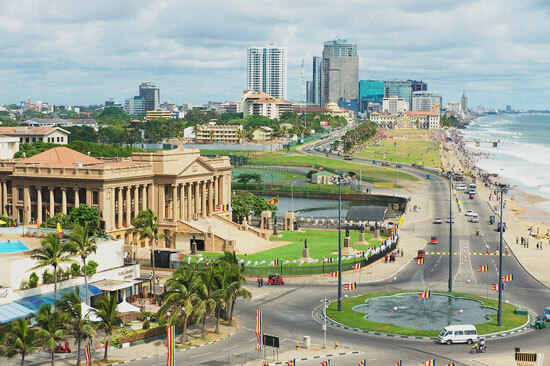 After your arrival at Colombo airport you can get your Sri Lanka ETA VISA at the airport. Here you will be greeted by our local representative at the airport to receive you from the airport. Check into the hotel post your arrival. Relax for some time in the comfortable ambience of the hotel room. After that, you will visit the Hurulu Forest Reserve. Hurulu Forest Reserve was declared an International Biosphere Reserves and Conservation Forests in 1977 and is a thriving ecosystem. It holds a vital status for the variety of endangered species and is considered to be an important habitat of the Sri Lankan elephants. Observe many endangered species like the Indian Star Tortoise, Sri Lanka Jungle fowl, Sri Lankan Elephant, Sri Lanka Leopard and Rusty-spotted Cat, wild boar, sloth bear, spotted deer, pangolin, bandicoot rat, porcupine, rabbit and jackal. Spend a night back in your hotel at Harbarana. Start your day with lip-smacking breakfast at the hotel and proceed to Ritigala Ruins and Nature Reserve. Located in the dry-zone of Sri Lanka, it is situated nearly 42kms away from Anuradhapura. It has been declared as a Strict Natural Reserve in an initiative to protect and maintain its verdant surroundings. Enjoy a mesmerizing hike to this beautiful mountain range and explore the ruins of Ritigala monastery. These distinctive ruins have a unique charm that will leave you spellbound with their sheer serenity. Many of its ruins are sensitively restored by the Archaeological Department to give the tourist an amazing experience of its fascinating ruins and pristine environment. Next, you will visit the Dambulla Cave Temple, the largest rock cave temple, which is located at a height of 1118 feet from the sea level and built on a 600 feet high massive rock. The five separate caves are home to about 150 stunning paintings and statues of Lord Buddha. The paintings and statues include some of the best evocative and vital religious art believed to be created over 2000 years ago. You can find three statues of Sri Lankan Kings and four Statues of gods and goddesses. The breathtakingly coherent surroundings will leave you bewildered. Spend your night stay in your hotel at Harbarana. Enjoy the beautiful sunrise and proceed to Trincomalee after relishing on authentic Sri Lankan breakfast. One of the finest deep habours in the world, Trincomalee is located 257km north-east of Colombo. It is also considered as a commercial hub of Sri Lanka. Home to some of the finest beaches such as Uppuveli, Nilaveli and the off-shore Pigeon Island, it has become increasingly popular as a Whale Watching destination as well. Upon arrival, check into the hotel. After that, you will visit the Koneswaram Temple. An ancient Hindu temple devoted to Hindu god Lord Shiva is surrounded by jaw-dropping scenery. Built on a spectacular promontory, it overlooks one of the world`s largest natural harbours. It is located at the head of Konesar Malai on the Gokarna Bay which is a seasonal home to Blue Whales. The site is a world famous religious pilgrim Centre, and is one of the five ‘Pancha Ishwarmas’ (abodes of Shiva). According to a stone inscription dated back o 17th century, the temple began its history in 1580 BC. Thought it is a point of debate, a fact follows it that this temple was a well-established and famous temple during the exile of Indian prince Vijayan during the 6th century BC. Next, you will enjoy the Marble Beach which is another fine beach in Sri Lanka. 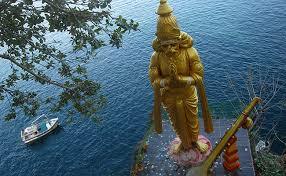 It is situated at the Marble Bay that comes under Trincomalee’s natural harbor area. When the sun is bright and the sea is calm, the surface appears shining like a marble and that is how the place has derived its name. Enjoy your stay at hotel in Trincomalee. After breakfast proceed to your next destination- Kandy. 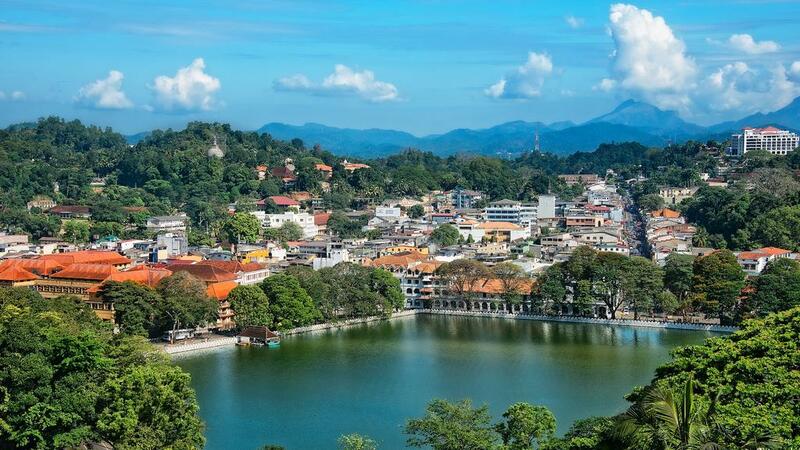 The second largest city of Sri Lanka, Kandy was declared a world heritage site by UNESCO in 1988. 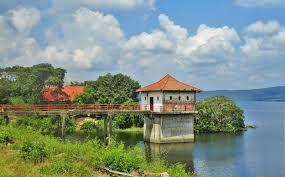 Located in the mountainous center of the island it is also known as the cultural capital of Sri Lanka. After arriving in Kandy, check into the hotel. After that, you will visit the Horton Plains National Park. One can reach Horton Plains by rail or main road. The most common approach is either by road from North via Pattipola or from South via Ohiya. Situated in the central province of Sri Lanka of Nuwara Eliya District, it is positioned at the eastern boundaries of the upper Montane Forest Range of central highland of Sri Lanka. The Horton Plains are strikingly beautiful and popular with walkers. It includes the infamous fabled viewpoint of World`s end. Observe native wildlife in their natural environment and admire the diversity of flora and fauna. Next, you will visit the Lankatilaka Temple. The Lankatilaka Raja Maha Vihara also known as the Blue Temple, is located in Hirapitiya in the Udunuwara area of Kandy, the hill capital of Sri Lanka. This architecture stands on 80ft high and uneven rock. It was constructed as a four storey building overlooking the Hantane mountain range. Enjoy your overnight stay at Kandy. After spending your morning in the realms of nature, proceed to Bahiravokanda Vihara Buddha Statue. Listed as one of the must-visit place, it is a huge concrete religious monument. The gigantic statue OF Buddha is 88ft high. 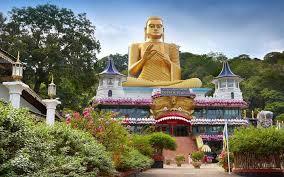 The hill where the statue was built known as bahirava kanda, which means the devil`s hill in Sinhalese. Visitors may have to climb few stairs to this calm and peaceful spot arranged by the Buddhist monks of Sri Lanka. Next, you will visit the Pinnawala Elephant Orphanage. Situated in the town of Kegalle halfway between the present capital Colombo and the ancient royal residence Kandy, it was established in 1975. A 25 acre coconut property it is taken care by Sri Lanka Wildlife Department and provides protection and care to many orphaned elephants found in the jungles. Experience the wildlife closely and watch baby jumbos wondering around their cramped foster home or bathed and bottle fed by their human foster fathers at Pinnawala. A sight you will really enjoy and never forget. Take some rest in the hotel room and enjoy your stay at Kandy. After breakfast proceed to Colombo. Check into the hotel. 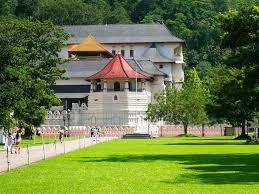 In the afternoon, head to Kelaniya Raja Maha Vihara temple! Built on the banks of the Kelaniya River, it is one of the most sacred sites of Sri Lanka. According to the ancient chronicle ‘Mahavamsa’ , Lord Buddha visited the place along with 500 monks on the eight year following enlightenment on the invitation of King Maniakkhikha to preach the dhamma. A hemispherical structure also called stupa was built on the place where Buddha preached his sermons enshrining the supposed gem-studded throne on which he sat. Although it is unclear as to who originally had built the stupa, but it was known to have been renovated by the King Uttiya in 3rd Century BC. During the period of invasion by the Portuguese in the 16th Century, the buildings in the temple premises were destroyed. In 18th century it was reconstructed during the reign of King Kirthisri Rajasinghe’s reign. The murals inside temple walls were restored by the renowned artist Solias Mendis, taking inspiration from the magnificent work of the Ajanta and Elora caves of India. Visit the place on weekdays, as the weekends have this place packed with large crowd. The authentic Sri Lankan meal can be enjoyed at any restaurants. Relax in your room during the night at Colombo. After having experienced the famous tourist destinations and beaches, enjoy breakfast and proceed to the airport for departure. With unforgettable memories and picturesque sites, you can visit this panoramic island again by apply for your Sri Lanka eta visa.